Please join us in congratulating frequent contributor, Gary Fincke, whose recent books include, The Out-of-Sorts: New and Selected Stories (West Virginia University Press) and a collection of personal essays, The Darkness Call, winner of the Robert C. Jones Prize for Short Prose from Pleiades Press. In addition, The Infinity Room, winner of the Wheelbarrow Books/Michigan State Prize for Established Poets, will be published by Michigan State University Press in early 2019. Please help us congratulate forthcoming Cimarron contributor Barbara Barrow, whose debut novel, The Quelling, is now available from Lanternfish Press. Pick up your copy today! Please help us congratulate Cimarron contributor Mary Leader, whose new poetry book She Lives There Still is now available from Shearsman Books. Pick up your copy today! Please join us in congratulating Cimarron contributor Lisa Bellamy, whose debut full-length poetry collection The Northway, is now available from Terrapin Books. Order your copy today! 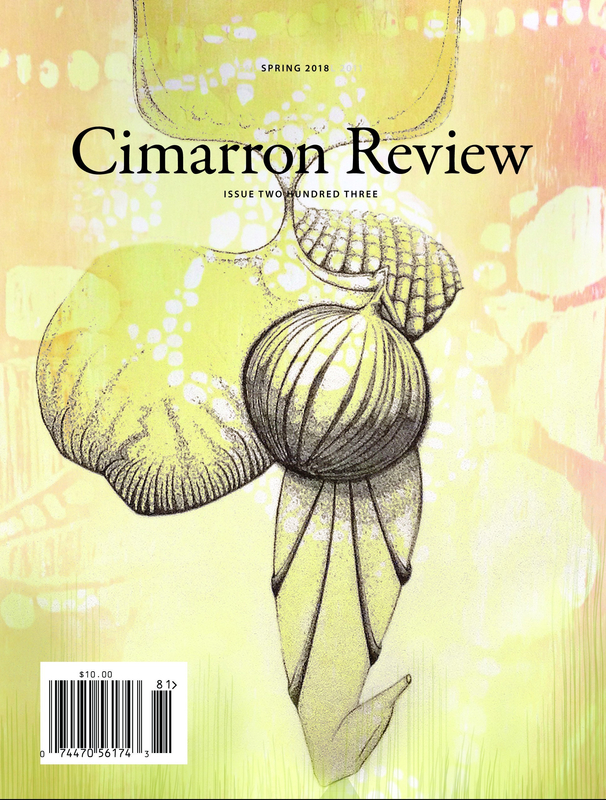 A warm congratulations to Cimarron contributor Danielle Hanson, whose second poetry collection, Fraying Edge of Sky, has been named winner of the 2017 Codhill Poetry Award. Of the work, poet Oliver de la Paz states, “The precise language of the poems conjures up the overlooked details of a world that, in its hurry, will miss them. The light in a bucket of water, the ribbon-like fog, the small mice who are angelic in their infestations—all are an inventory of the miraculous that Hanson’s truly original voice urges us to hear and to hold close.” Order your copy today! 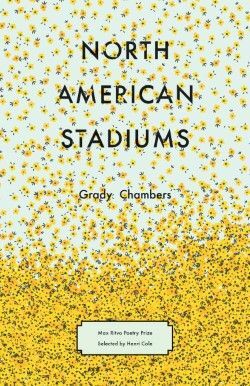 Please join us in congratulating Cimarron contributor, Grady Chambers, whose book of poems, North American Stadiums, was selected by Henri Cole as winner of the Max Ritvo Poetry Prize from Milkweed Editions. Pre-order your copy today.